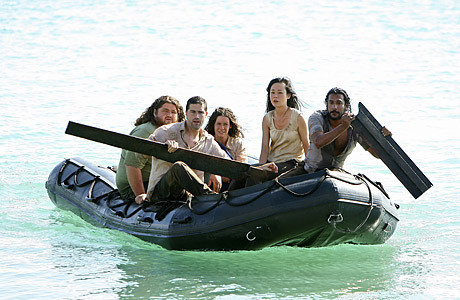 Season 4 of Lost audaciously told us up front where it was going to end: with the Oceanic 6 getting off the mysterious Island and returning to civilization (as revealed at the end of season 3). What we didn't know was how and when  when being the big question, on a series that complicated its time-and-space-travel story deliciously. (How does a Frozen Donkey Wheel work, anyway?) Having spent the first half of the series flashing back to the characters' pre-island lives, season 4 started flashing forward, revealing tantalizing glimpses of the post-Island future that we're still trying to piece together. At season's end, Jack learned that the Oceanic 6's escape had disastrous consequences, and he vowed to return. We can't wait to get back either.